The use of acupuncture for the treatment of alcohol addiction and drug is a recent development of the ancient art. In 1972, a neurosurgeon from Hong Kong, H.L. Wen M.D. discovered fortuitously that acupuncture could relief withdrawal symptoms. 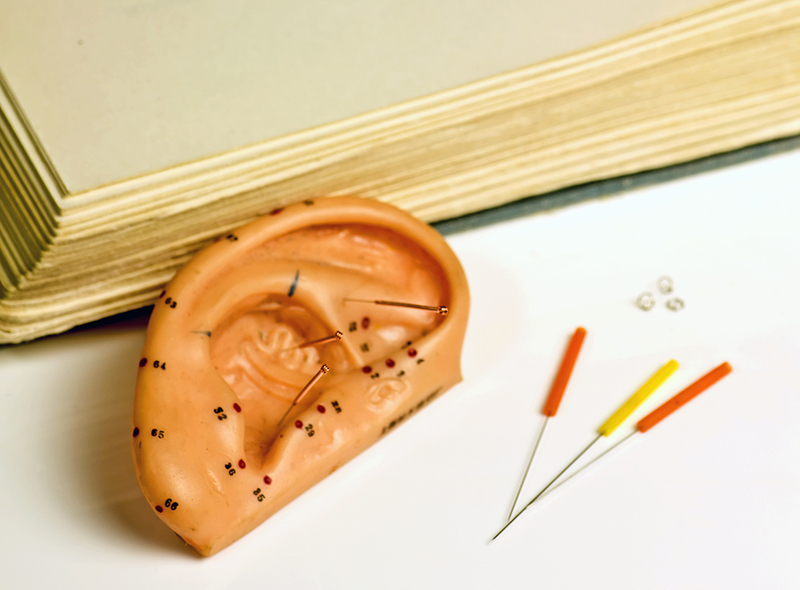 It has been then demonstrated that acupuncture is a simple way, inexpensive and easily accepted by the patient. In addition, acupuncture diminishes, or eliminates medicinal treatments and therefore shortens hospitalization. This gives the possibility of treating the patients in an ambulatory manner, less costly in comparison to a patient in a hospital. In 1985, a group of professionals in drug addiction matters (doctors, acupunturists, social workers) of the Lincoln New York hospital formed the National Acupuncture Detoxification Association) NADA, known under the name of « AcuDetox). The goal of this is to train and certify new health professionals in the field of addiction treatments and acquiring basic specific knowledge in acupuncture. The NADA method can be carried out by professionals in their own healthcare settings after sufficient training ad hoc. The method used today is the result of many years of clinical development and practice. It is used in numerous countries in Europe and widely used in the USA. This method is used in addiction cases or to prevent relaps. It is a theshold approach. (The person is not necessarily abstinant). Sylvie Wyler was trained to the NADA method (National Detoxification Association) in New York, at a psychiatric hospital in Bronx, in the department of abuse of substances (Lincoln hospital) at the origin of the method. Since then, Sylvie Wyler is an instructor of the NADA and gives courses regularly at the Psychiatric hospital of Cery, Lausanne /Prilly and at Malévoz, Monthey.